You have bought the car of your dreams but within a year or two you realise that the installments, petrol and insurance are all just unaffordable. The car of your dreams is now giving you nightmares – so what can you do about it? One option is simply to return the car, hand back the keys and say, “Sorry, I made a mistake.” Unfortunately, it’s not that simple, and depending on who financed your car, it can become a very expensive return. Listen to Maya and Mapalo Makhu discussing this and other topics in the My Money, My Lifestyle podcast. If you financed your car through a bank, then handing back the keys is in effect a voluntary surrender. Faisal Mkhize, Managing Executive at Absa Vehicle and Asset Finance says the bank will take possession of the asset, value the vehicle and then prepare it for auction. It will then sell for the highest possible price. The customer would be liable for any amount still outstanding if the sale of the car did not cover the outstanding debt and that includes administration fees for selling the vehicle. It is also important to note that this will be seen as a vehicle repossession and will affect your credit score. The other issue is that you are not likely to get a decent price for your vehicle at a public auction. In an auction scenario the buyer has no opportunity to inspect the car. So, any buyer will heavily discount the price they are prepared to pay as they run the risk of buying a ‘lemon’. It can also take months for the car to go on auction, during which time it depreciates further. In the case of in-house finance at a dealership such as BMW or Mercedes, you can ask for an approximate valuation before returning the car, however there is no guarantee that you will get that amount. The dealer will take possession of the car with the aim of selling the vehicle to another dealership within three months, but there is no guarantee they will make the sale or that they will get the expected price. While legal fees may not apply in this case, the dealer will most likely take some commission on the sale of the vehicle. Again, you will still be liable for any debt that is still outstanding after the sale of the car. Another option is to sell it privately. This is especially beneficial if you have financed through a bank. However, buyers are reluctant to purchase a car with finance as the bank will only hand over the title deed once the outstanding finance is settled. As a buyer you would not know if the seller is in a position to settle the outstanding balance. William Miller, co-founder of online auction platform auction.co.za says that by selling privately through their platform, they inspect the car and contact the bank to confirm the settlement amount. Only if the customer has the money to meet the potential shortfall or would qualify for a shortfall loan, will they allow it onto the platform. So as a buyer you know the car has been inspected and that the financing will be settled. For the seller, auction.co.za will use their data to provide an estimate of what the car is worth. You have two options depending on how urgent the sale is. You can opt to sell the car to a dealer within 24 hours and pay 4% of the selling price for administration. Auction.co.za accesses 7 500 dealerships across South Africa. If you have more time, you can wait for a private offer, and possibly a better price. In this case there is no cost to the seller, and the buyer pays the 6% administration fee. “You could get more money by waiting, especially if the car is in good condition with no chips or a need for reconditioning. If the car does need some work, then selling through a dealer is a better option as they recondition before selling,” says Miller. Dealerships usually provide for downgrades to make the installments more manageable, but what if you want to buy a different brand? Elton Govender, founder of online dealer www.autokustom.co.za says they facilitate downgrades to reduce installments. “For example, someone would trade in a BMW 3-series for a Suzuki Swift for more manageable repayments. Our dealership handles the entire transaction, ensures all paperwork with the banks is facilitated, but we only go through the transaction if the numbers stack up in favour of the consumer. If not, we look at other options,” says Govender. If you are struggling with repayments, sell your car before you start missing payments. Missed payments negatively affect your credit record and increases your financing costs. This may disqualify you from taking out a loan to meet the shortfall which means no-one will buy your car as the bank will not hand over the title deed. Use the amount you are no longer paying in installments to settle that shortfall loan as quickly as possible. Apart from auction.co.za and autokustom.co.za, there are several online players when it comes to selling your car. Getworth.co.za offers you a guaranteed cash amount upfront and then possibly a higher payment depending on how long it takes to sell the car. Webuycars.co.za buys your car immediately and pays you out in 30 minutes. You get well below market value, but is an option if you need cash in a rush. 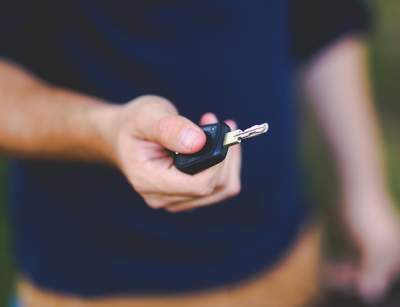 If you decide to return your car to the dealership, you need to read the fine print and ask the right questions says Elton Govender of AutoKustom. Giving notice: If your car was financed for over R250 000, you will need to give three months’ notice, otherwise the financier will charge you penalties. Financiers can charge three months’ interest as a penalty. The notice period also needs to be extended after three months and does fall away. We always advise to document the date and time notice was given, and to keep your reference number. Settlement Amount: When a settlement amount is requested from a financier they provide you with a letter and an amount. Customers need to also request an amortization table. This may take a few days and in some cases the call centre agent has no clue what you are requesting. An amortization table provides you with an original amount financed plus all other charges. This will include your monthly installment with a breakdown of your interest and capital repayments. Any changes in interest rates will be reflected. This provides a good guide as to whether your settlement amount is correct or has penalties built into the amount. If there are penalties, contact your financier and provide them with the reference number of your notice and ask them to recalculate the settlement amount. Trade vs Retail: Trade is the value your vehicle is valued at based on the industry. This will take into account the make, model, year and extras on the vehicle. Retail is what the vehicle could be resold for to the public based on the condition of the vehicle. Between trade and retail is the profit for the dealer. If your car is in poor condition, the dealer will lower your trade value according to what he needs to spend to repair the vehicle to be sold. Next postA car or an apartment?